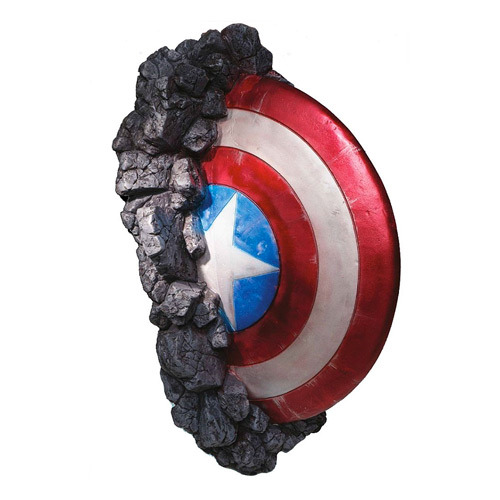 Cap's famous shield appears to burst through the wall of your room in this fabulous Captain America Shield Wall Breaker by Rubie's. The Captain America Shield Wall Breaker is made of plasatic and measures 30-inches long x 14-inches wide x 9 1/2-inches tall. Ages 8 and up.